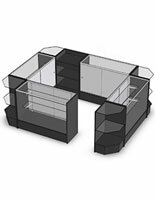 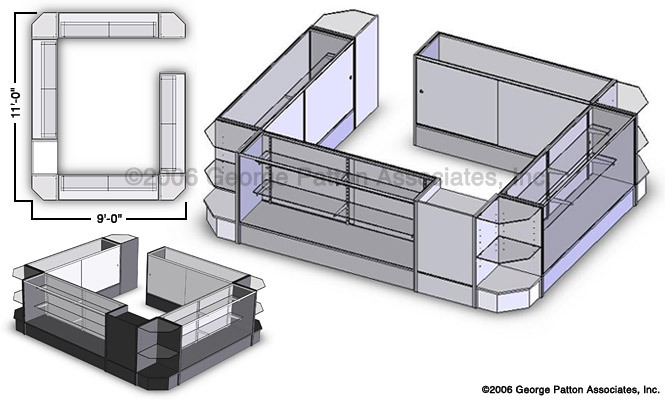 This modular retail counter is a black showcase configuration suitable for any large to mid-size store. 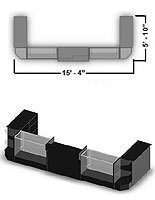 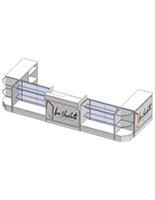 Dimensions come in at 11' x 9' with a rectangular design and one narrow opening for salespersons to enter. 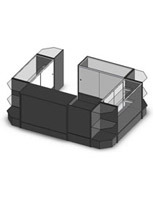 The modular retail counter acts as a command center since this particular style layout is intended for use in the middle of rooms. 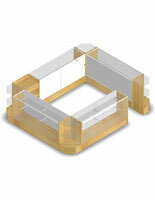 The glass fronts, tops, and shelves is tempered for safety, and the shelves are height adjustable. 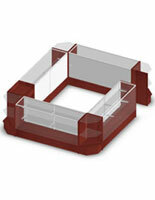 This modular retail counter includes (4) corner units, (4) display showcases, and one cash register stand. 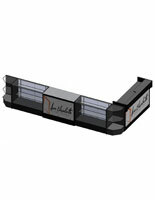 Stocked for immediate, same day shipment when purchased before 2pm EST.